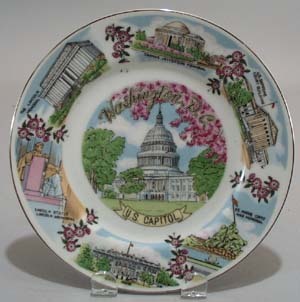 Washington DC Souvineer Plate, featuring the White House, and other memorial buildings. Porcelain, mint condition, original paper Japan sticker probably from the 1960 or 70 era. 7 1/2""
Items Similar To "Washington DC Souvineer Plate, featuring the White House,"